When I turned 55 years old, I decided I needed to do 3 things. One, was to get dreadlocks. Two, was to learn to drive a race car. And three, was learn to weld. So I enrolled in the local community college welding class and fell in love with a plasma cutter. I have always been an artist, so this new tool became my new pencil that cut clean crisp lines through cold rolled steel like a hot knife through butter. I started painting my pieces in several different styles, from abstract and illustrative to realistic. I am fortunate to donate 100% of the proceeds to local animal rescues that provide low cost spay/neuters and vaccinations. 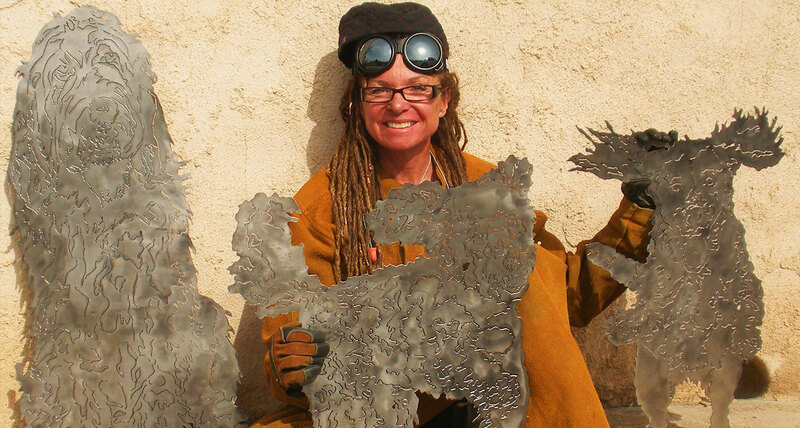 And, yes, I still have dreadlocks and had my own race car! I do custom commissioned art pieces of your pet. 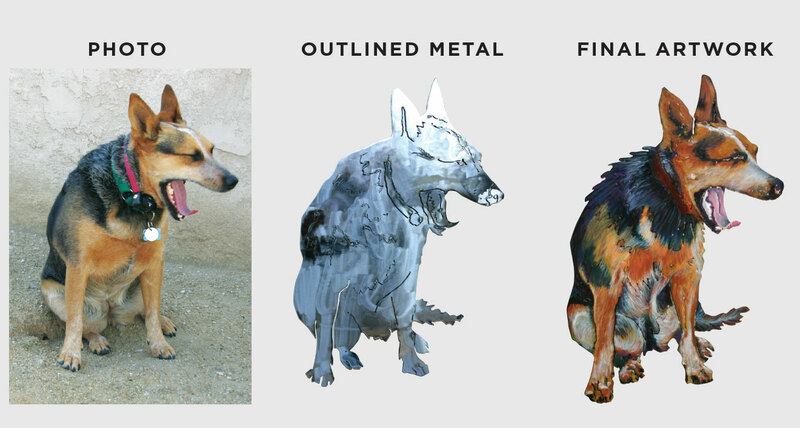 Just send me a photo, tell me what size and style of painting you wish and I will capture your pet in steel! I do several different painting styles from which to choose. (See my gallery for styles.) When the piece is complete I will send you a picture of the art for your approval. Upon your approval of the piece, full payment will be accepted and your art will be insured and shipped. I ask for a $100 non-refundable fee at the time your order is placed. I guarantee you will be 100% satisfied or you owe me no further payment. I will simply keep the piece in my private collection and the $100 non-refundable fee will cover the cost of materials.